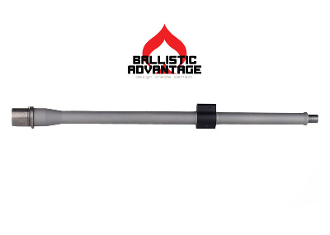 This Ballistic Advantage .223 Wylde chambered 16 inch barrel is machined from 416R Stainless Steel with a bead blasted finish. Our Premium Series Barrels feature a FailZero Nickel Boron Coated Extended M4 Feed Ramp Extension. Hanson Series Barrels feature our proprietary BA Hanson profile and include a lo-pro gas block. Hanson barrels are not designed to work with aftermarket piston kits.